In rare cases when you take a talented producer who’s become tired of requests for generic records and he decides to give singing and rapping a shot, you’ll get something great. This is exactly what happened with Long Island’s Jon Bellion. At the age of 22( 23 on December 26th) he has become a well versed producer, singer, rapper and songwriter. to date he has released four project, Scattered Thoughts Vol 1 in 2011, Translations Throughout Speakers in 2013, The Separation in 2013 and most recently The Definition in September of 2014. While providing fans with quality projects he also managed to write the chorus for Eminem’s hit record “Monster” featuring Rihanna and co-wrote/produced Jason Derulo’s recent US single “Trumpets.” If you listen to his projects and watch his “The Making of” videos on Youtube, there is no way you can deny this mans talent. 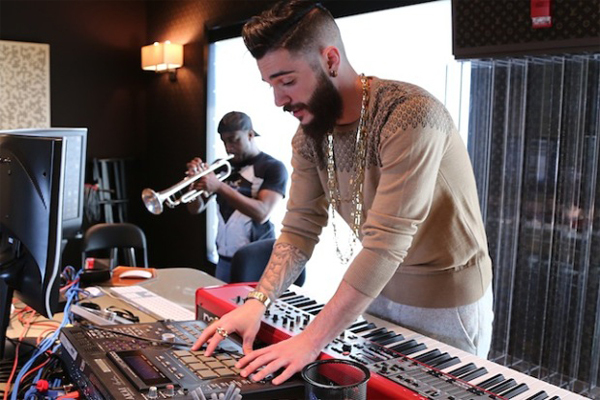 Press play below and let us know if you think Jon Bellion is an artist to watch.